Christmas Eve 2012. That's when I opened up a present from Trent that was probably one of the coolest things he had ever gotten me. 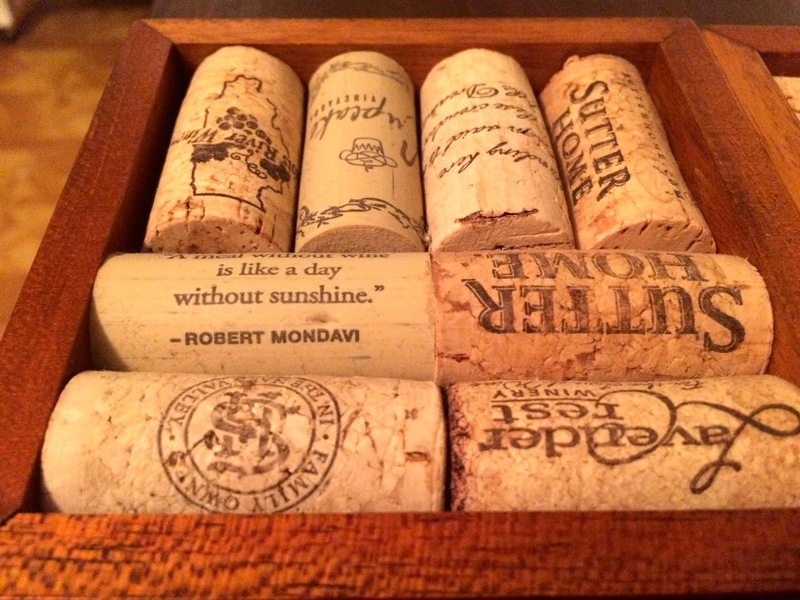 A wine cork coaster kit. What is that, you ask? This is the box. 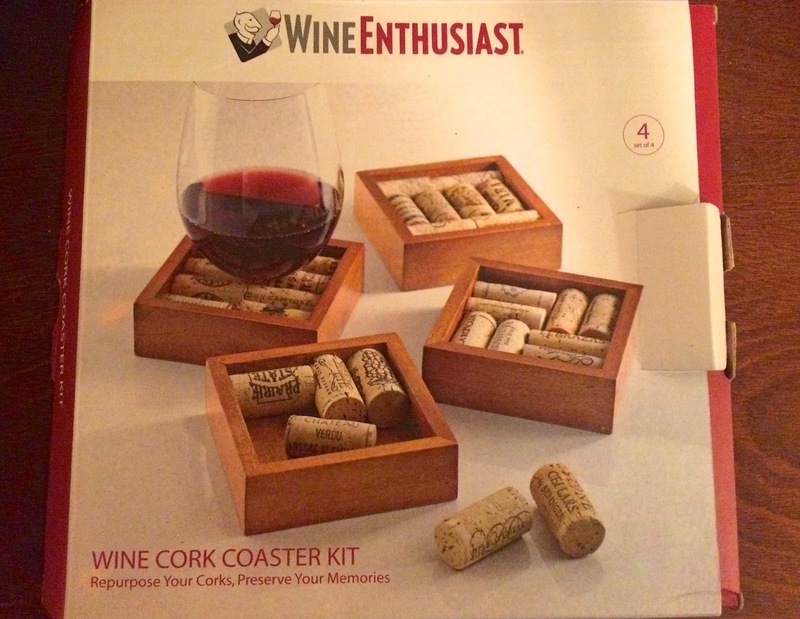 It comes with 4 empty wooden "coasters" that you fill up with wine corks you've collected. That Christmas I got all of our used wine corks together and started arranging them inside of the boxes. I only really had enough to fill up 2 of the coasters. 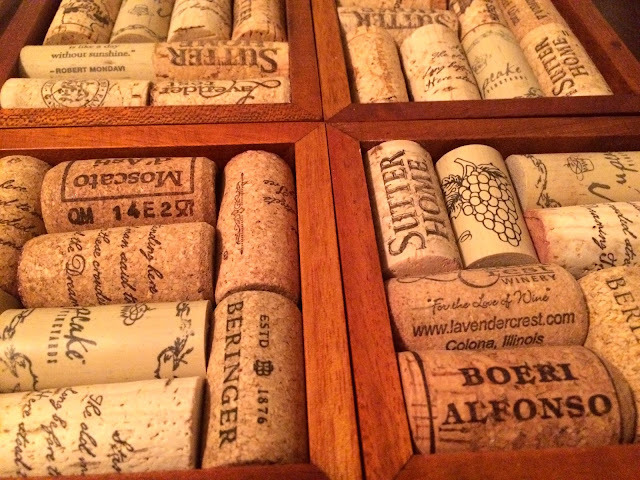 Since then, our glass vase in the kitchen has been filling up with more corks, and tonight I decided I probably have enough variety in my cork collection to make the other 2 coasters. 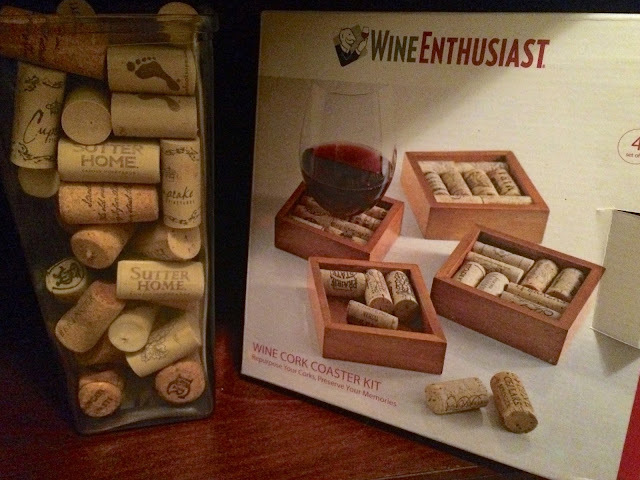 So I went through my corks and put the other two together. I definitely did have enough! I love the look of them when they're finished. And it's really easy to do. 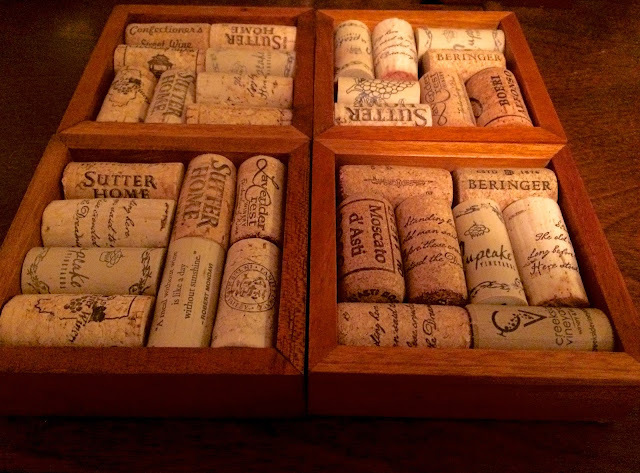 You just place different corks inside of the wooden box, and arrange them so that they fit snug inside. You can actually glue them in, but mine are all pretty snug so they stay in position without having to glue them. 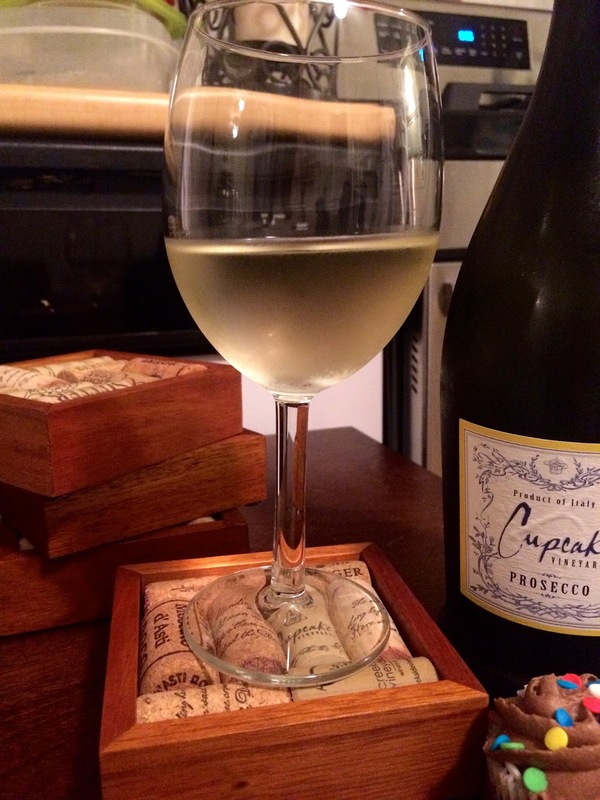 These are some of the most original coasters you can get. Each one ends up being different, and they all have a little character to them, with the various designs and brands of wine stamped on each cork. 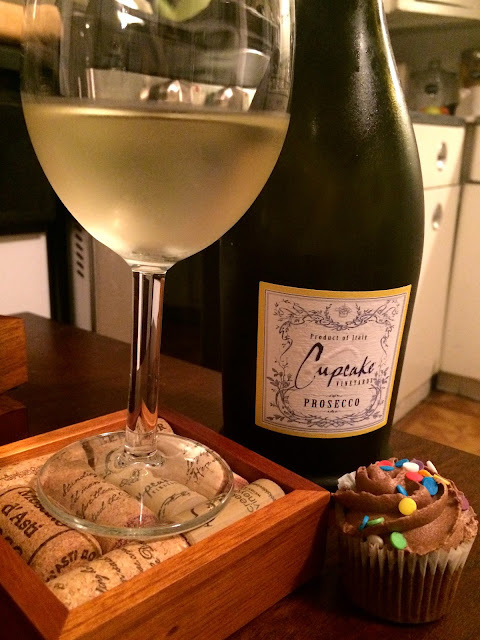 A glass of Cupcake wine, and a cupcake, no less. We celebrated my birthday at work yesterday, so I got to bring home some leftover cupcakes today. P.S. - I'm not sure where Trent got this coaster kit, but you can find them at Bed, Bath and Beyond for $19.99 at this link. Happy wine drinking!